By the first week of January 2019 National Law University(NLU) Delhi will announce the AILET 2019 Exam pattern. Candidates will be able to take a look on the exam pattern of AILET 2019 in online mode. A planned study schedule for the AILET 2019 exam pattern will allow you to set a clear action goal for the exam. Starting with the exam structure followed by a self-analysis of your strengths and weaknesses. Allot your time for each section as per necessity and make sure you follow your plan sincerely. Practice is the key to score good in the AILET entrance exam. Buy the best study material in the market and start with understanding the fundamental concepts thoroughly and make sure you are covering every type of question asked in exams. 3. Don’t fear the Legal Aptitude Section! 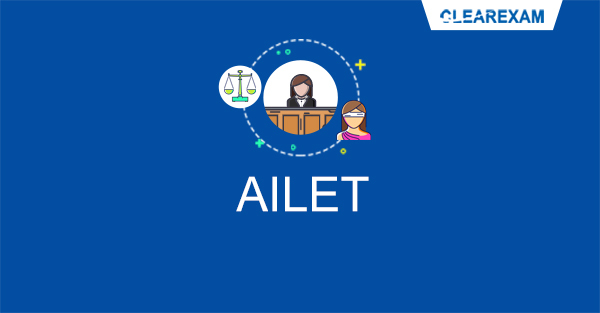 A lot of students are afraid of the legal aptitude section on the AILET 2019 entrance exam because they think that this section on the exam is something of high difficulty. However, the AILET only tests you on basic level of knowledge. Start learning daily for at least an hour and ensure that you’ve covered all the topics. 4. Previous Year Papers and Mock Tests are your savior! Practicing from mock tests and AILET previous year papers is the best way to prepare for the law entrance exam. Take the test in a environment same as like the environment in the examination hall and check your performance. Identity your strong and weak areas. Attempt at least 12-15 mock tests before your AILET entrance exam and you will definitely know where you stand. 5. Keep yourself Calm and trust in your preparation! The AILET is a very easy exam, just you have to be confident about your preparation and have good vibes around you. Stay motivated at each and every step of your preparation. Relax yourself by engaging in some fun activities along with your strategy, stay positive, stay focused and you are going to score good in AILET 2019 entrance exam for sure! By the first week of January 2019 National Law University(NLU) Delhi will announce the AILET 2019 Exam pattern. Candidates will get fill the application form of AILET 2019 in online mode. By the second week of April, AILET application form 2019 will be available for the candidates who want to pursue undergraduate and postgraduate law programmes. The AILET application form 2019 filling procedure will include filling application form, submitting exam fee, uploading scanned documents like photograph and signature and then finally submitting the application form. For a candidate preparing for AILET 2019 exam the most important thing is to know about the eligibility criteria before starting his preparation for AILET exam. Aspirants preparing for taking admission into the undergraduate and postgraduate law programmes will get an overview of the topics to be covered into the law entrance examination. After they get aware of the exam pattern of AILET 2019 in advance helps the aspirants to manage their strategy for exams and helps in scoring well in entrance exams. So any aspirant preparing for AILET 2019 exam should study keeping in mind the latest AILET exam pattern as this will help him to perform better and confident in exams. Importantly, aspirants who have recently appeared in 10+2 (Senior Secondary) examinations may also apply for AILET 2019. This year AILET will conduct its exam on Sunday, May 5, 2019.